Formal essay is a basis of the academic writing because this is a short, simple, and impersonal composition. Since there are many types of the essays, where narrative essay tells a story with a lesson or a moral, and a personal essay depicts the author’s opinion on the certain topic, a formal essay is a more objective type of writing, basing on the reliable sources, provable examples, and facts. Immigration is known as one of the most important and controversial topics due to the fact that there are many complicated reasons and factors of this issue. Today the majority of countries suffer from this problem, causing numerous difficulties within the economy, employment, business, education, and the entire society. 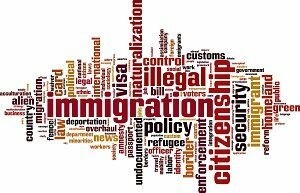 In order to understand what immigration is, it is essential to analyze who is an immigrant, what are the most popular reasons for the immigration, and what are the advantages and disadvantages of the immigration. First of all, it is necessary to indicate that an immigrant is a person who moves from one country to another looking for a better life because of the number of different reasons. Eventually, it is important to mention that there reasons for immigration affect almost all the spheres of people’s life. For example, a person may become an immigrant because he or she is looking for a new job with a higher salary in order to feed his or her family. The person may be also looking for a new country to stay in because of the environmental issues or natural disasters that may cause severe health problems or other obstacles, or he or she is looking for better standards of living and working. Another important reason for the immigration is the discrimination within society because of the race, age, sexual orientation, or religion. In fact, immigration leads to a big number of advantages and disadvantages for all the counties. To illustrate, one of the main advantages is that the state can get a great number of new and highly motivated workers. Under these circumstances, the country gets the chance to expand its economy. Besides, another important advantage of the immigration is that it increases the number of consumers and it causes more profits and sales for the companies within the state. Furthermore, more immigrants also mean more contributions, more investors, more sales taxes, and more real estate taxes, that can positively affect the economic growth of the country. On the other hand, immigration appears to be a real threat to the cultural identity of the country. For instance, many countries are definitely against immigrants because they are afraid that their native language and religion may get forgotten due to the fact that big amount of newcomers can popularize their traditions, culture, food, and religion. Then, this process may influence the culture of the country in a negative way and destroy the national identity. In addition to this, the immigration is regularly illegal because the majority of immigrants come to another country illegally and work illegally too. Eventually, immigration can cause a serious raising of the unemployment rate because people will be looking for a bigger amount of jobs. To conclude, it is possible to understand that immigration has a number of advantages and disadvantages for the world’s economy, culture, and society as a whole. Nevertheless, every country should treat and protect every individual with dignity and respect, if he or she is immigrant or not. Newton, L. (2008). Illegal, alien, or immigrant: The politics of immigration reform. New York: New York University Press. Sayad, A. (2004). The suffering of the immigrant. Cambridge, UK: Polity.